Guitarist Joe Brasch is an award winning teacher, composer, producer, performer, mixer and engineer who lives and breathes music in his hometown, Spokane Washington. 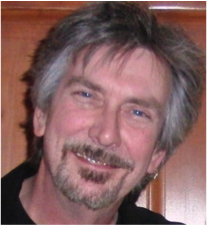 As an instructor, Joe helped create the Commercial Music/Jazz Studies Program at Spokane Falls Community College. That program produced some of the areas’ finest musicians including Myles Kennedy (currently on tour with Slash and Alterbridge) and Roy Jackson, owner and founder of “Learn to Burn.” The Civic Theatre hired Joe to prepare Brian Gunn for the starring role in their production of “The Buddy Holly Story.” This production shattered all previous box office records at the Civic. As a studio musician, he has written and recorded music for all the major networks, including 2 show opens for National Geographic and an acoustic package for Good Morning America. His compositions have netted him an Emmy, a Promax award and placement in the Dreamworks production “She’s the Man” starring Amanda Bynes. As a performer, Joe is enjoying long partnerships with Peter Rivera (former lead vocalist and drummer for the hit Motown recording group, “Rare Earth,”) and “The Trailer Park Girls” with Doug Clark, the award winning columnist from the Spokesman Review. 2015 brings a new chapter in Joe’s life as CEO of the FutureSong Foundation, created to bring the joy and healing power of music to those in need. “I’ve been very blessed to enjoy such a long and prosperous career, and it’s far from over.” says Joe.